Blogging has been quite an adventure for our family and it has been lovely to share our family’s exploits on Family Travel Times. But we aren’t the only family travel bloggers out there. Not by a long way. Here are some other top UK-based writers, many with children of quite different ages, and also different specialities to us. As you’ll know, we have a now 15-year-old and 12-year-old, who write on this blog (and seem to have grown up far too fast!). Among the bloggers below, you’ll find those who write about babies upwards! The Pigeons (Austin and Gwen, seven and five) live in London with their parents, Nell and the Daddy D. From glamping in Wales to exploring the western fjords in Norway, the family’s travel stories are full of adventure. The blog has plenty of tips on exciting ways to spend a day in London, as well as regular updates on what’s on in the UK capital. Nell runs the popular monthly linky, #CulturedKids, so her blog is a good point of call for people wanting to read about family-friendly museums, galleries, theatre shows and historic places, from all around the world. Nisbah has a genuine passion for travel and following the arrival of her three little adventurers, the family adventure far and wide and make the world a classroom for their children. Nisbah, with her husband Doc are on a mission to showcase the best in family travel and inspire families that adventurous travel, even with young children is possible! Five Adventurers is an award winning site which provides parents with ideas of adventures, travel inspiration, tips and helpful guides to embark on their next adventure. In addition, unlike any other family travel bloggers in the UK, the Five Adventurers are the only Muslim family who blog about travel. With this sector becoming the fastest growing and most lucrative, the Five Adventurers, offer lots of unique insight and exposure to this community. Established in May 2015, Project: Wanderlust is a travel and lifestyle blog focusing on inspiring, yet affordable, travel. Concentrating on family friendly adventures, Project: Wanderlust is packed full of travel guides, destination reviews and top tips for those who are looking to get the most out of their time away. Alice is a freelance writer, blogger and family travel expert with a passion for good food and seeing the world. In addition to blogging she works as a social media consultant and is a regular guest on BBC Essex. One Tiny Leap is the multi-award nominated blog of Maria Belfort and her family, documenting their travels around the world, and a love affair with good food. Now moored in Brighton, UK, the family spent 18 months living in Lisbon before embarking on a year-long road trip that took them to the USA, Japan, New Zealand and China. Currently using all her free time to explore closer to home in the UK and Europe, and rarely separated from her camera for more than a few minutes, Maria is a Marketing Manager specialising in Asia, with a mild obsession with ramen. Extraordinary Chaos is an award winning blog about family life with teens and the challenges that are presented with a growing family. Sarah shares life and travels with her crazy family but is also embracing the life changes as her family grows – giving her more time for solo and couple travel and exploring some of her passions in life such as luxury travel, interiors and food. She still likes to explore ways to keep her growing family still want to travel together. Daisy is mum to three kids, wife to Mr Dais Like These and owner of a lovely greyhound. As well as leading a busy day to day family life, she loves nothing more than packing up and heading off on a new adventure – husband, kids and sometimes dog in tow! Daisy is passionate about promoting family travel and through Dais Like These Family Travel Blog she aims to inspire other families to try new destinations with their kids, by sharing the highs and lows and ins and outs of her own family adventures, both close to home and further afield. Expect travel diaries, travel tips and honest reviews. Helen is the multi-award winning blogger behind family lifestyle and travel blog Actually Mummy. The blog began life as the diary of Helen’s six-year-old daughter, full of the humorous anecdotes of family life. But as the kids grew up, Helen returned to her love of travel, taking her family with her for the ride. Six years on, she now documents travels in the UK and worldwide with a teen and a tween. Helen’s journeys have taken her all over the world, from Hong Kong and Cambodia, to Caribbean beaches and the ski resorts of Colorado. As one third of Space In Your Case, Helen is all about adventure, pushing the boundaries with her kids, believing that no holiday should be off limits for families. All it takes is a bit of planning! Jo loves helping families with babies and toddlers have great holidays and offers advice and inspiration about holidays and days out. From finding special places to stay which welcome babies and toddlers with open arms, to giving advice about fab places to visit with babies and toddlers, as well as the practical aspects like how to apply for a baby’s first passport – Jo is here to help! Jo has featured in Mother and Baby Magazine twice providing advice about how to take the stress out of baby travel, as well as contributing on an article about the best holidays for babies in 2016. Vuelio says: Having three young children doesn’t have to stifle your love of travel. It means you have to be more prepared and requires a whole new checklist of essential items. Founded in 2014, Mini Travellers supplies parents with ideas for holidays and day trips. Not content with Mini Travellers, Karen has recently launched a new blog ‘Fuelled by Latte’, an extension of her original blog, focused on family, travel, food, lifestyle and fashion. After completing a degree in Creative Writing, Kate created WitWitWoo, a lifestyle and travel blog, in 2010, in order to provide her with a space to continue her passion for writing. Seven years later, it has gone from strength to strength, with a large, engaged and loyal following. The blog predominantly focuses on finding a balance of living a healthy lifestyle, whilst enjoying travelling the world. Kate also wanted to create a blog that focused solely on travel, so she co-created We Blog Travel in May 2016, which concentrates on luxurious travel, solo travel and family holidays that cater for older children. Kate is a freelance writer, blogger and Digital Manager. She is also a lone parent to two boys – aged 13 and 22. She has written for Cruise Magazine, Princess Cruises’ Journey magazine and various other travel publications, and currently ranks in the Top Ten of the UK’s top lifestyle blogs. Our family travel blog shares travel tips, holiday reviews and destination guides from our travels around the UK and abroad. Lisa is Editor of Travel Loving Family and Editor of Trips100 (the UK’s largest travel blog directory) and has travelled to 80+ countries as well as working in the travel industry for 20 years. Previous roles include Shore Excursions Manager onboard P&O Cruises and USA, Caribbean Travel Specialist for Abercrombie & Kent, a luxury tour operator. As an ex international flight attendant, Carrie has visited over 60 countries and uses her insider knowledge to help and inspire parents to travel all over the world. Her two young daughters share the families travel bug with over 30 flights so far! Flying With A Baby shares family holiday destination guides, family friendly hotels, airline reviews, holiday tips and product reviews. Carrie has provided advice for Boots Parenting magazine, Mother & Baby and Woman & Home. North East Family Fun is an award-winning UK family travel blog with a strong Facebook following featuring UK days out, family holiday reviews, travel tips and inspiration. Samantha and her family love camping and the great outdoors, good food and learning through experience. As a family of five, with school aged children, you can expect plenty of adventure alongside honest reviews and regular “what’s on” guides. Kids Days Out Reviews review and feature family and kids days out from around the UK, and short breaks in the UK and beyond. It won Best Family Travel Blog at the MADs in 2014, and currently features over 150 day out ideas. The girls are aged from six to twelve, and our days out have grown as we have. We love camping and Disney, and we’d love a trip to Disneyland California please! Suitcases and Sandcastles shows you how to make travel and culture fun for the whole family with city guides, travel tips, reviews and inspiration for family holidays in the UK and abroad. The focus is on slowing down and taking the time to enjoy new experiences, whether you’re exploring a new city, trying different food or going on an adventure. We love looking for hidden gems and fun places to stay. Clare travelled constantly as a travel writer and editor at the Daily and Sunday Telegraph and writes on family travel for angels & urchins and the Telegraph as well as the blog. Video professional, vlogger, writer and mother of three sons, Jane produces content about holidays & outings, “whatever the size of your family”. Her family travel sites share family holiday reviews, hotel tour videos and destination guides from both overseas and the UK, with a regional emphasis on what’s on in Bristol and North Somerset. Jane co-runs the Bristol Travel Massive Chapter and along with her fellow leader successfully set up and grew the thriving group to over 250 travel professionals within its first year. She’s also actively involved in the Bristol Bloggers & Influencers group. Jane blogs at “Practically Perfect Mums” and Taking 5 and uploads travel videos and vlogs to her YouTube Channel PPMsTV. Claire is a mum to two pre-school girls with an appetite for adventures in the UK and Europe. Her blog, Tin Box Traveller, shares holidays ranging from camping trips to luxury lodges and cruises, as well as outdoor fun, family days out and travel tips. Claire lives in Devon so has plenty of insider knowledge on staycations in the beautiful south west of England. The family often travel with a furry friend – Tin Box Dog – so Tin Box Traveller is also a great source of information on kid and pet-friendly breaks. Charly Dove – POD Travels and PODcast. Charly is an ex-marketing firector with 20 years experience in the marketing industry. She has a wealth of knowledge in travel having worked with global and specialist travel brands since cutting her teeth at Virgin. Based in Surrey, Charly has travelled extensively, from South East Asia, New Zealand and the Pacific Islands to the Caribbean, South America and Australia where she lived for two years. She’s also well travelled across the UK and Europe. Now as a family of three, her travels are centred on discovery, adventure and exploration. Charly is a content writer, multi-award nominated blogger and photographer. Her adventure & family travel blog POD Travels focuses on global travel with PODcast covering UK travel and days out. Penny is passionate about nature, getting kids outdoors, culture, food and travel. Previously a media and film teacher, Penny is now a full-time blogger and travel writer with a side in holiday letting. She relocated to the Peak District to rent out her own holiday places after one too many country holidays she didn’t want to come home from. 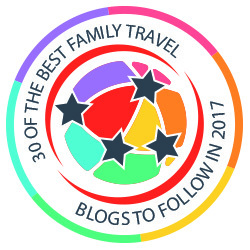 Her current blog parentshaped.co.uk was Best Family Travel Blog Runner Up in the the Family Traveller awards. Her multi award-winning first blog was sold to an online retailer. She co-edits family travel inspiration site spaceinyourcase.com and as one third of Team Honk HQ Penny achieved three awards for social media and fundraising campaigns with Comic Relief, highlighting their work from projects in the UK, Ghana and Tanzania. Penny has written for Family Traveller and The Nottingham Post, and she is a regular contributor to Day Out With the Kids and Avis Inspires. She lives with her husband, son (2008) daughter (2006) and a greyhound. Cerys and Monika (along with some of the best family travel writers out there) pour their passion for travel and the great outdoors into a quarterly magazine and regular online features full of inspiration for families to get out more and explore further. It is a magazine for the independently-minded traveller and explorer and each seasonal issue is packed with stories of epic family journeys, 3, 2, 1 …go weekend and city breaks, gear reviews, thought-provoking interviews, suggestions for outdoor and garden activities and wildlife conservation. Read Inpsireroo online or download your quarterly copy to read offline. Katy (Mrs S) is married to Mr S, and is mum to three children. Together, having spent the last three years converting their beloved Campervan, they love nothing more than to take a road trip, to explore and to create wonderful memories along the way. Otis and Us is a family travel blog; sharing travel tips, family days out, outdoor fun, holidays, and road trips in the UK and further afield. Aiming to inspire others to travel with kids and embrace the belief that life is an adventure. Laura owns the multi award-winning family lifestyle blog LittleStuff, but she admits that HKCT is where her adventurous heart lies. A family of six, Laura is the writer, husband Courtenay is the photographer and they have four kids (home educated, so they’re always ready to take on a new adventure with no worries about term dates!). The three boys are 18, 15 & 14, and their daughter Bear is 10. They love to talk about any and all the family friendly travel options – from wild camping in Wales to trekking in the desert. Laura loves finding new things to experience with the children, discovering the best places to stay, ways to travel, and bargains to be had for families finding their perfect holiday. UK travel, lifestyle and parenting blogger Zena Goldman is passionate about growing a love of travel in her young family and following her own desire to see more of the world. The Zena’s Suitcase blog follows her family’s adventures as they explore life as a travelling family and enjoy the many different holiday and travel experiences that are available. With over 19 years experience in parenting she is honest about the challenges parents face visiting different countries with two young children, and shares how as as family you can overcome these hurdles and enjoy the precious time you have together. As a family that is constantly juggling a happy balanced life, she also explores the possibilities of travel without kids and how to enhance your lifestyle when you’re at home. TV journalist and blogger Elizabeth fell in love with travel after a solo backpacking expedition around the world in her 20s. Now she has two daughters and is on a mission to prove you can still see the world with children in tow – albeit a little differently. She has since swapped her backpack for more luxurious accommodation and her travels have taken her family to Asia, the US, Europe and beyond. She firmly believes in living for the moment after her husband survived two life-threatening illness. Her motto is: Life is too short, make the most of it. Elizabeth chronicles the ups and downs of travel with her family and shares her experiences with honesty and humour. A magazine editor turned family lifestyle and travel blogger, Alison spent her 20s discovering the joy of the mini break, and found herself becoming the go-to person for hotel and holiday advice amongst her friends. Fast forward to today, and Alison is now a family travel expert, blogging about days out, weekends away and big holidays with her husband and daughter. She admits to loving a bit of luxury, when it comes to family travel, but Alison also loves a bargain and loves seeking out budget breaks that allow families to pack in as many brilliant experiences as they can. Alison co-edits family travel site http://www.spaceinyourcase.com/ and has written travel features for magazines including Mother & Baby, OK!, Look, Junior and Good Living. Thank you so much for including me Sarah! It’s lovely to be amongst such great company! Thank you so much for featuring me! Such a great gang of family travel bloggers.